We already knew that F1 2015 was in the making for the PlayStation 4, Xbox One, and PC, but it looks like we have just received our very first screenshots of the upcoming racing game. A few images, which Eurogamer announced have been confirmed by Codemasters as “work-in-progress images [that] were taken from a confidential internal development email,” have spread across the internet today. They show off pieces of the different racing tracks and some of the cars, both of which look phenomenal. The images also note that the PS4 version of the game will run at 60fps, but currently is only reaching “45-55fps at 1920×1080.” The racing game will apparently be released in the summer, and a mix of 2014 cars and 2015 cars will be included in it. What do you think of the leaked images and info? 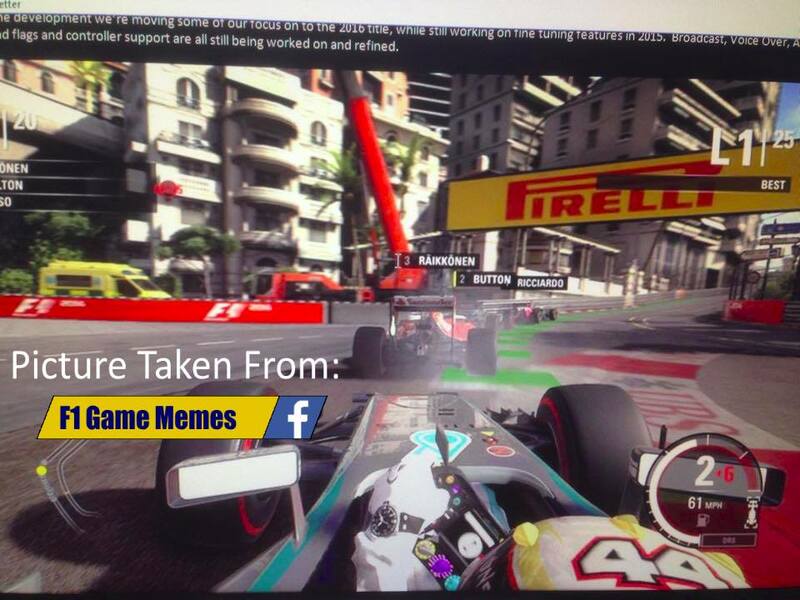 Are you excited for F1 2015 to release later this year?